The study showed that when the adult and infant are looking at each other, they are signalling to communicate with each other. Making eye contact with babies synchronises their brainwaves to adults, which can help them in learning to communicate effectively, researchers say. Brainwaves reflect the group-level activity of millions of neurons and are involved in information transfer between brain regions. While it is already known that when a parent and infant interact, various aspects of their behaviour synchronises, including their gaze, emotions and heart rate, but little was known about whether their brain activity also synchronises. The study showed that when the adult and infant are looking at each other, they are signalling their availability and intention to communicate with each other. “We found that both adult and infant brains respond to a gaze signal by becoming more in sync with their partner. 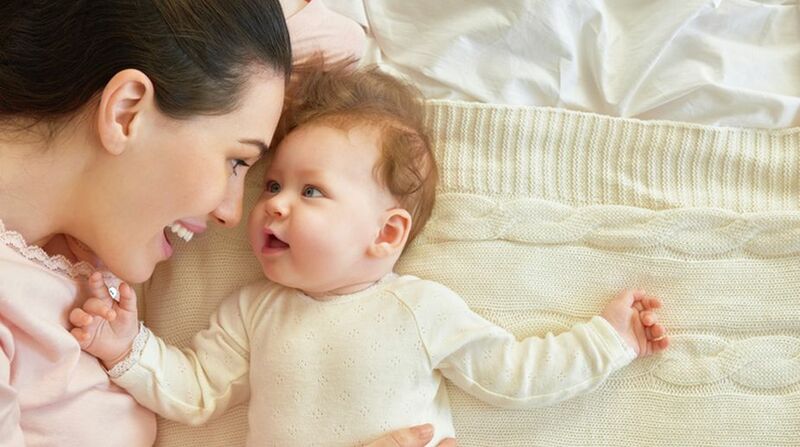 This mechanism could prepare parents and babies to communicate, by synchronising when to speak and when to listen, which would also make learning more effective,” lead author, Victoria Leong from the University of Cambridge, said. For the study, published in the Proceedings of National Academy of Sciences (PNAS), the team examined the brainwave patterns of infants and adults by measuring patterns of brain electrical activity via electrodes in a skull cap. When the adult’s gaze met the babies’ the infants’ brainwaves were found to be more synchronised, and they were found to make a greater effort to communicate or more ‘vocalisations’ with the adults. Interestingly, the greatest synchronising effect occurred when the adults’ head was turned away but her eyes still looked directly at the infant. This may be because such a gaze appears highly deliberate, and so provides a stronger signal to the infant that the adult intends to communicate with her, the researchers said. “We don’t know what it is, yet, that causes this synchronous brain activity. We’re certainly not claiming to have discovered telepathy! Our findings suggested eye gaze and vocalisations may both, somehow, play a role,” explained Sam Wass, from the varsity.